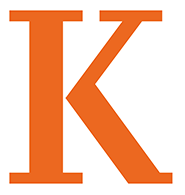 The Kalamazoo College Teaching Commons fosters excellent teaching and significant learning that together support the mission of Kalamazoo College. The Teaching Commons is a physical and virtual place dedicated to exploration, collaboration, conversation, reflection, consultation, inspiration, and experimentation – all focused on the enterprise of helping college students become better educated. Located in Dewing 206, the Teaching Commons is a safe space for educators to discuss in confidence their teaching and how, and how well, they attain intended student learning outcomes. Having the space and setting aside time to reflect on why we teach the way we do and whether our methods match our learning goals is central to becoming more effective educators. Fall 2017 statistics for Course Evaluations can be found here. Fall 2017 Course Evals Statistics. The Spring 2017 edition of LuxEst, the Kalamazoo College magazine, contained an article about the Teaching Commons. The Lux Esto article. In Winter 2017, we introduced a new SUMMARY SHEET for course evaluations. Course Evaluation Summary. In April 2014, in anticpation of our Teaching Commons, the Teaching and Learning Committee administered a needs inventory of the faculty. Needs Inventory Results. Follow this link to see all pieces posted on the GLCA/GLAA website in 2016-2017.